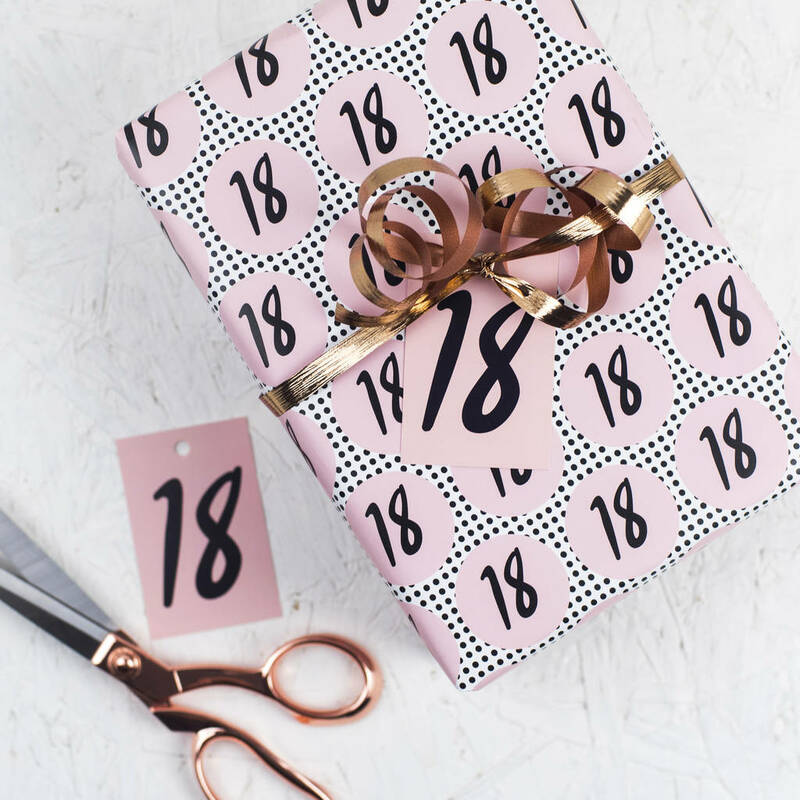 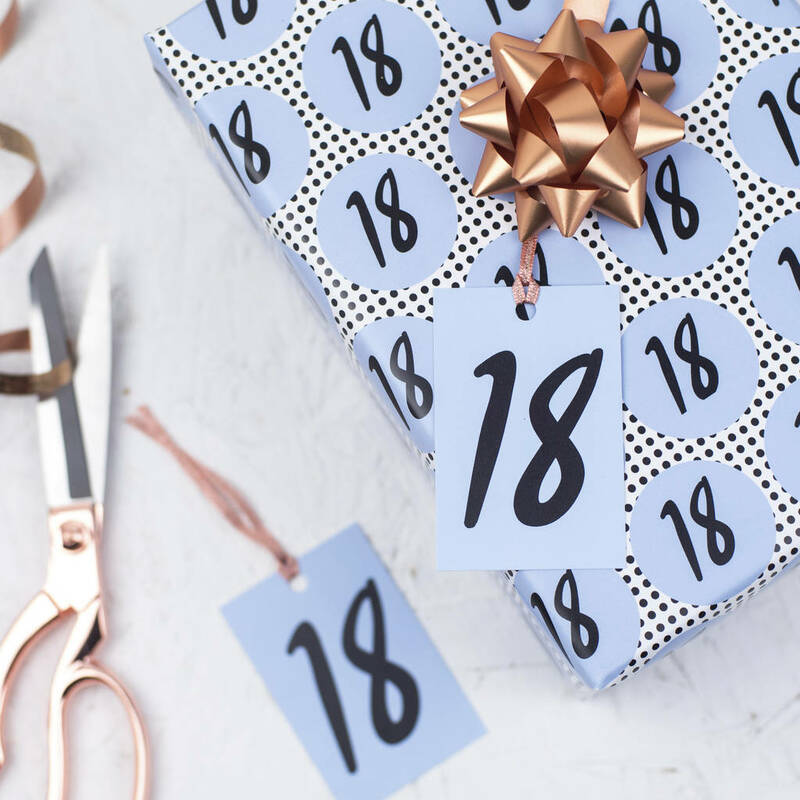 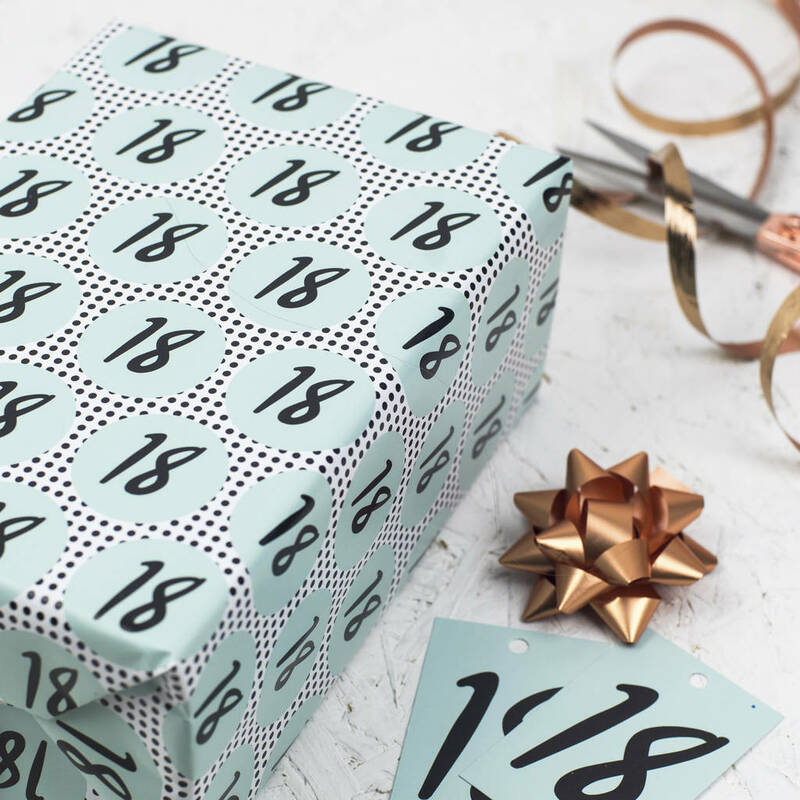 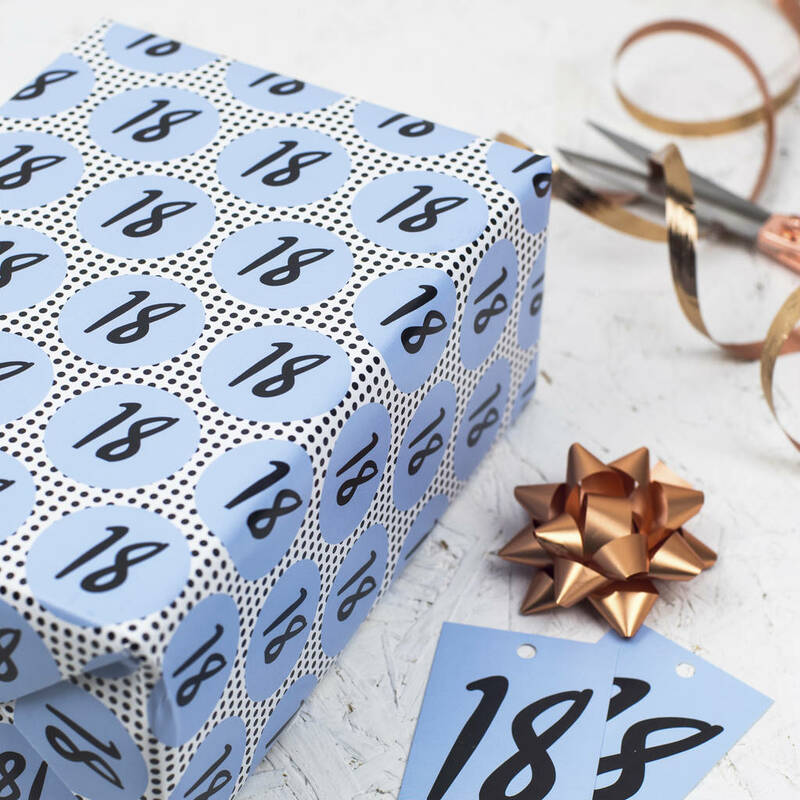 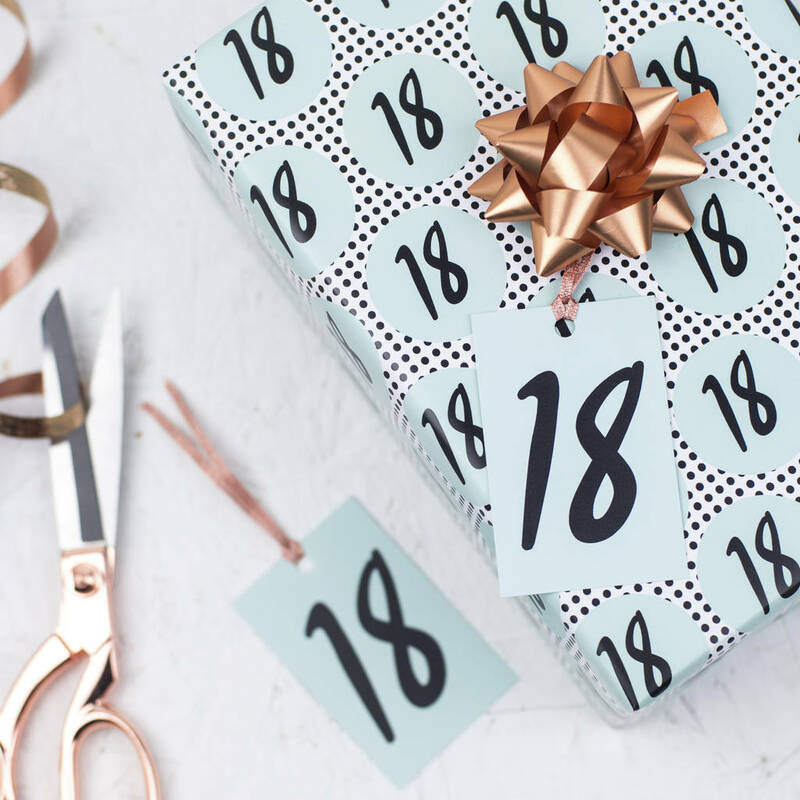 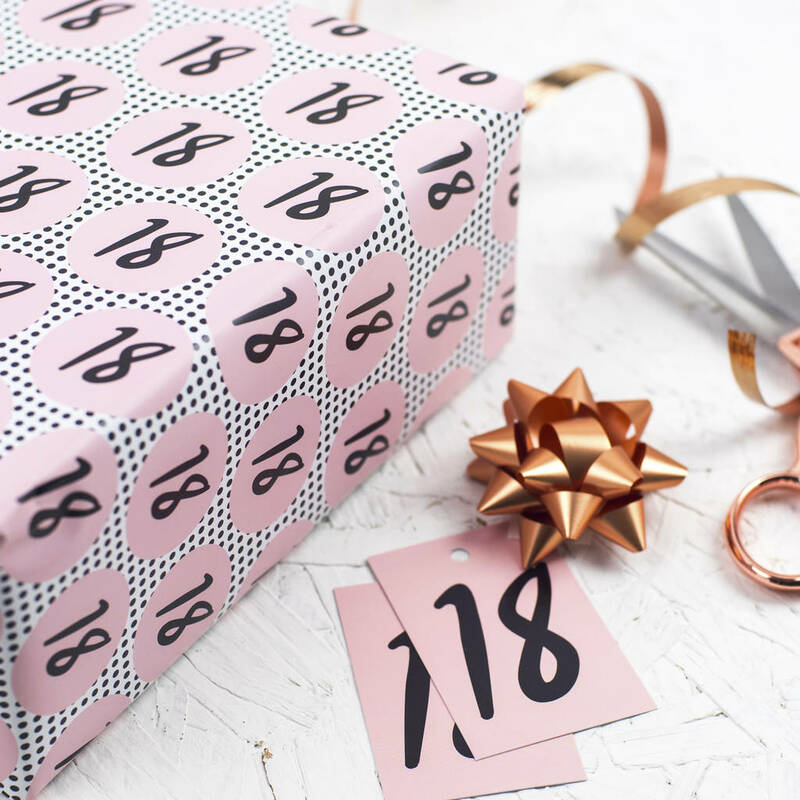 Celebrate the occasion in style with this bright 18th birthday wrapping paper. 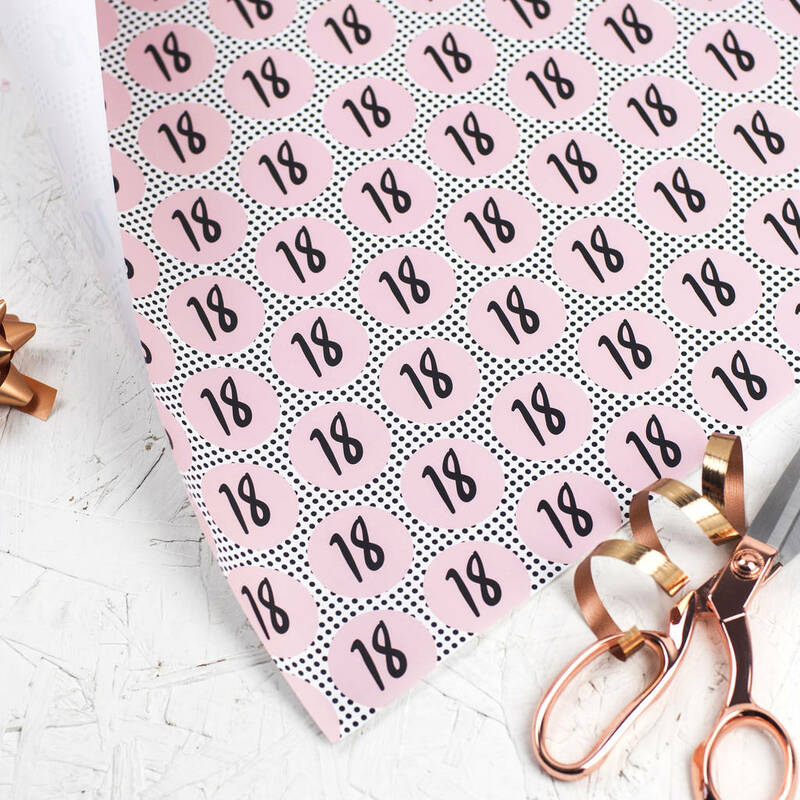 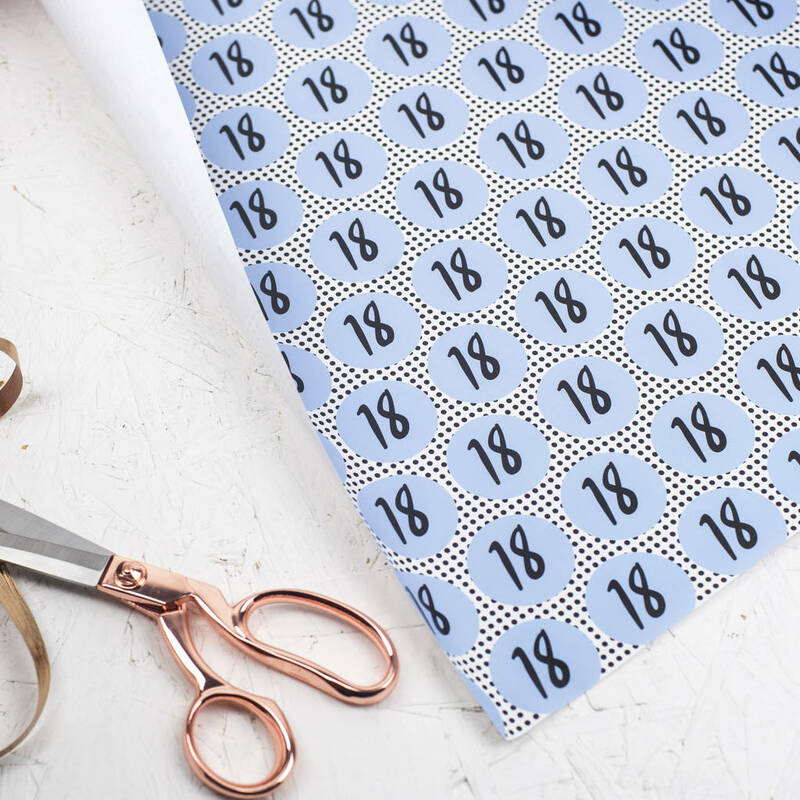 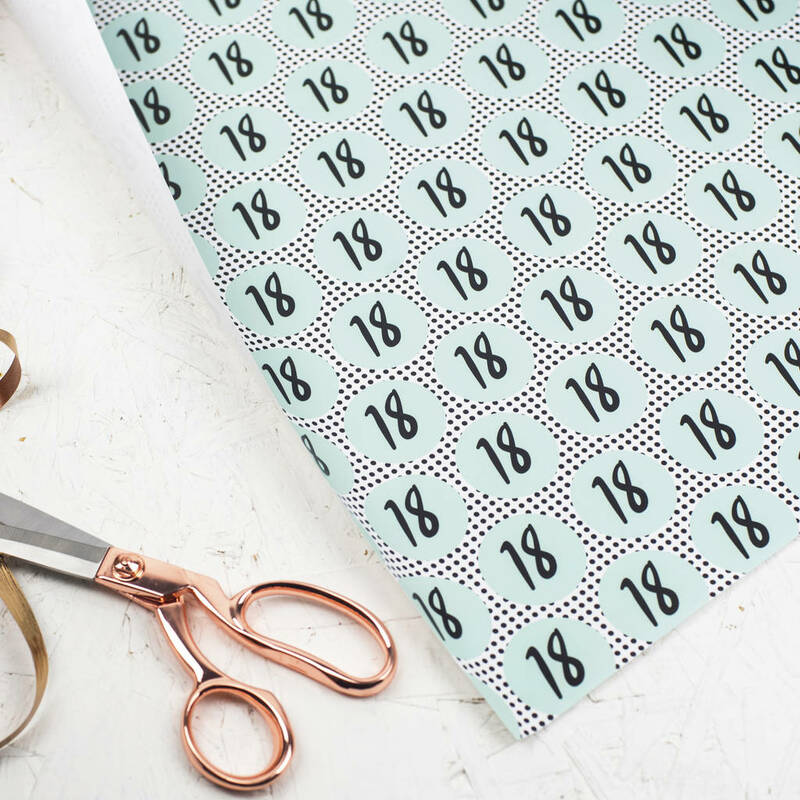 A brilliant birthday wrapping paper for all those 18th birthday gifts! Please choose the ideal quantity from the right drop-down menu, matching gift tags are also avaliable and come with luxury rose gold ribbon.